When first published in 1982, A LITERATURE OF THEIR OWN quickly set the stage for the creative explosion of feminist literary studies that transformed the field in the 1980s. Launching a major new area for literary investigation, the book uncovered the long but neglected tradition of women writers and the development of their fiction from the 1800s onwards. 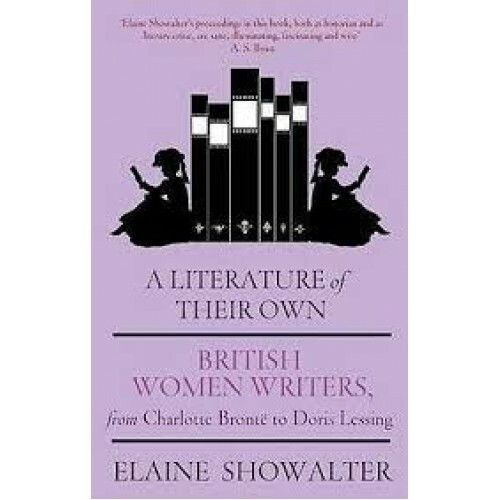 It includes assessments of famous writers such as the Brontes, George Eliot, Virginia Woolf, Margaret Drabble and Doris Lessing, but also presents critical appraisals of Mary Braddon, Rhoda Broughton and Sarah Grand - to name but a few of those prolific and successful Victorian novelists - once household names, now largely forgotten. This edition, revised and expanded in 1997, contains an introductory chapter surveying the book's reception as well as a postscript chapter celebrating the legacy of feminism and feminist criticism in the efflorescence of contemporary British fiction by women.